Smooth, quiet and very easy to install. Have been running this bottom bracket since August with no issues. Install the BB was a breeze on my 2013 Altitude. Replaces Shimano press fit BB on my 2014 Giant Trance X 29er to accomodate Race Face Cinch crank that has 30mm spindle. If you are upgrading cranks, make sure your BB will fit the shell of your bike and accomodate the spindle of the crank. I had the LBS put the BB in, so instalation was a non-issue (mechanic said it needed a good amount of force to get in). So far so good, no problems. Dont think about the BB ever, so I guess that is a good thing. Brand new, so dont know about durability yet. Used this for upgrading from a double to the RaceFace Cinch Turbine cranks. As usual raceface quality, very good instructions. Installed this Press Fit BB to upgrade to the Race Face Turbine with 3 mm shaft. Was exactly what I was needing. Called support center for advice before ordering as the description would need a small upgrade. Installed super easy , running smooth over the last couple hundred miles. First time running a 30 so we will see how it holds up. The fit was perfect. It was an easy install for my 2017 Giant Advanced, and my 2016 Riegn. The kit does multiple width bearing housings. Both bikes have an 89.5mm wide Shimano press in BB. No concerns with this bb to date, but it has not yet seen many miles. Race face makes great products and this is no exception - everything you need to install a BB92 30mm Cinch crank - either Next SL or Turbine Cinch will both work well. Upgrading my Scott Scale's drive train to a 1x this off season and needed a new BB to go with the RF Cinch Crank I installed. My BB is a press fit so I had to take it to the LBS to remove the old BB and install this new one. It seems to fit nice and snug. No complaints. I have 3 Cinch cranks, One was very creaky, one was okay but had very little use. One was creaky sometimes. Easy to pop in a new one after you shell out $50.00. It seems like The old style threaded lasted 10 times longer. Bike parts are not made to last anymore, like most things. I read in Bike magazine there are endure bearings out not that I will pursue when these die in 6 months. Works ok until the BB doesn't. Started with this BB due to cost (cheaper). Worked fair enough for 4 months of riding about 8hours/week. Started creaking a bit and probably should have done more maintenance or replaced. Carried on with this unit, and the inner bearing race shifted allowing the ball bearings to wear on the Cinch Spindle with negative results for the Cinch Spindle. Replace often, and at first signs of wear. Was about as expected for the cost. There are not many options for BB92 w/ 30mm spindle. Delivery was slightly late and immediately remedied by Jensen. Really fantastic service from these guys. My goto store henceforth. Can't really fault Race Face I guess. PF 92 is just a step backward in my opinion. I installed this BB with blue lock-tite in hopes I could prevent it from creaking....no such luck. Also tried the Shimano equivalent. Didn't work. The only way I could stop the creaking was to buy a Wheels MFG BB92 bottom bracket. Allows you to actually tighten the bb. Much better design. A must if you have a BB92 frame. This bottom bracket has too small bearings to be durable. They develop stiction and creaks within a few rides for me. I went back to 24 mm spindles in PF92 and bearing life is significantly better without the creaking. I had high hopes for this BB - but I have to admit - the part felt "cheap" when I got it - typically press fit BB's are a challenge to seat in carbon frames, and when this one went in "really easy" I figured I'd have issues and sure enough - even with the recommended blue Loctite the BB started creaking within a few rides. I cannot recommend this - in fact, I am very disappointed because I had to ruin it pulling it out - I ended up with a Wheels Mfg bearing that was a lot more $ but it has not creaked after many rides. Excellent Bottom bracket from Race Face! Great delivery from UPS all the way to Mexico in just 3 days! these only work with raceface cranks, which are not available anythere in n america at the moment. Haven´t been able to find if this BB allows me to use a BB30 crankset on a BB92 frame. BEST ANSWER: Race Face does sell some 30mm cranks that fit BB92 width, but a BB30 shell is narrower than BB92 so you would want to make sure your crank specifically says it will fit a BB92 shell. where do i choose the 107 shell size? BEST ANSWER: If you have a 107 you just wont use the spacer that is provided. It will come with instructions but you can go to the raceface site and look at them before buying. Thats what i thought too but then, why is there 2 different model product numbers: BB89.5/92 - BB419230B7 and BB104.5/107 - BB4110730B7 ? What bike is this going on? This bb should work with no issues but I can double check if I have the crank info and the frame info. Will this fit a Kona Big Honzo frame? Will this work on a 2016 Kona Supreme Operator paired with Race Face Atlas cinch cranks? BEST ANSWER: Yes. BB on the operator is a BB92 and the spindle diameter is 30 mm on the Atlas Cinch Cranks. Make sure you get the Cinch Cranks though because their other spindle design does not have a 30 mm diameter. Hi I want to put thin on my carbon 2014 intense spider 29 comp and use with fsa slk bb30 xx1 cranks. Will it all be compatible ? Hi, I have a norco sight with bb92 which has a Sram GXP PF92 . 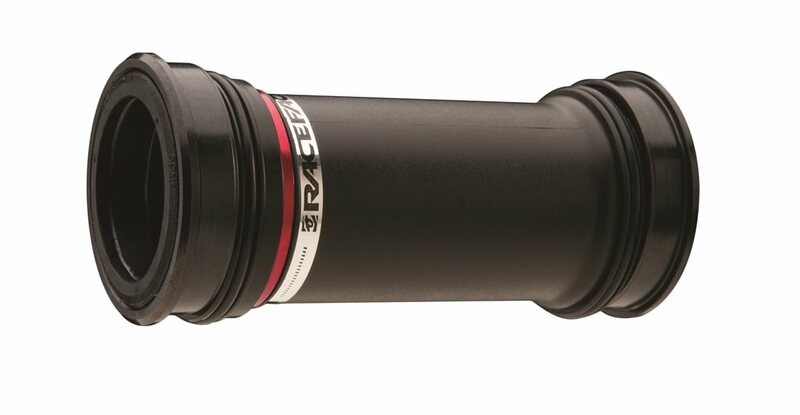 Will a raceface crankset with a 68/73 spindle fit a bb92 shell with this bottom bracket?? thank you. this is all so endlessly confusing to me. Is this fit my commencal v4 2016 bike and fit my RACE FACE TURBINE CINCH CRANKS ? BEST ANSWER: Cranks yes, for a certain. You'll need to find the specs on your BB width to determine if it'll fit your bike. Is this the only BB I can use on a 2016 Yeti SB5.5C? Can I use SRAM X01 Crankset with this BB if not then why? It's a 30mm spindle. BEST ANSWER: Check out the "SRAM/TRUVATIV PF GXP BOTTOM BRACKET MTB" it's a press fit that should fit your BB92 and allow you to use your SRAM X01 GXP.